LondonJazz News: Why is the new album called Wishbones? 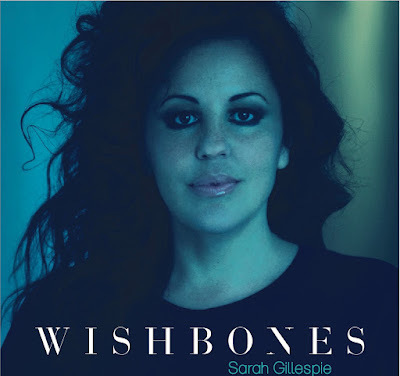 Sarah Gillespie: Well, the album depicts characters with different motivations, agendas, wishes: bitter ex-lovers craving revenge, an unemployed man desperate for work, toddlers demanding sovereignty, a Brexiteer yearning for a lost vision of England, the dead willing themselves back to life to reclaim their stolen land. There is also a magic realist sensibility in snapping the bone of a bird with a wish in mind which I like. I think in this age of an imploding enlightenment – where liberal democracies have failed to deliver their promise – irrational superstitions, wishes and folk-laws become similar to what Marx said about religion: "the sigh of the oppressed creature, the heart of a heartless world". LJN: Can it really be five years since the last album Glory Days? SG: Yes! My three-year-old daughter slowed me down. SG: I have - my first collection of poetry Queen Ithaca Blues was published in 2017 by Oxford's Albion Press. We also put out an EP with Audio Network which was fun but this is my first album of brand new songs for five years. SG: I've been compared with Dylan before which is flattering but also amusing. A lot of jazz musicians hate Dylan, all they can hear is this sonically disturbing harmonica and vacuum-cleaner vocal. For me, Dylan, along with Tom Waits and Cole Porter, is one of the greatest wordsmiths of all time. I guess that's why his music is getting covered these days by jazz singers, most notably the wonderful Barb Jungr. Dylan comes from the same state as my mother – Minnesota – and people are really proud of him there, a bit like Liverpudlians can get about the Beatles. One of the first gigs I ever went to was Dylan playing on the banks of the Mississippi River with Neil Young in the middle of a hot summer night. I think I was 13 and it blew my mind! LJN: Kit Downes has had a major role, I gather. SG: Yes, Kit arranged and produced all the songs on the album. He also plays organ and piano on the record. Kit first joined my band when we played Brecon Jazz Festival in 2013 I think it was – and we've worked together ever since. He's an amazing human being and a phenomenal musician. He's taught me lot. LJN: And who else is in the band? SG: We have Ruth Goller on bass, Chris Montague on guitar, James Maddren on drums and Emma Divine on vocals. We also have Laura Jurd on trumpet as our special guest. Laura plays on three tunes on the record and is joining us for the Southbank launch. LJN: That’s a group where they know each other VERY well – which must be nice/fun! SG: Absolutely! Its a very happy crew and everyone locks in together which is very healthy for the music. LJN: There is a personal song on the album inspired by your daughter? SG: Susannah Threw A Helicopter is made up almost entirely from the daily reports I receive from my daughter's nursery. They are mind-crushingly banal yet accidentally tender – things like "Today Susannah stole a biscuit from Jamie Halston. Jamie cried and Susannah said 'sorry.' They then shared the biscuit". LJN: And the traditional song Moonshiner? SG: This song alludes to the anaesthetic allure of alcohol. I've always loved this tune and love singing it. Its a masterpiece of poetic restraint. I often wonder about the man or woman who wrote it. I wish I could go back in time and shake their hand. LJN: And you also veer more into the political with The Ballad of Standing Rock – what’s that one about? SG: It's a story song. It's about a guy in long-term unemployment travelling to the Indian reservation of Standing Rock in North Dakota to get a job as a construction engineer. He is confronted by thousands of protesters and discovers that the pipeline he's hoping to help build will slash through ancient sacred Indian land. The guy crashes out drunk in his motel and wakes up in the night 200 years ago with Indians ruling their own land and herds of stampeding buffalo outside his motel window. LJN: And what is The Last Of The Good Time Charlies about? SG: It's a pastiche nationalist street party in the mind of a Brexiteer grasping at symbols of imperial nostalgia. Charlies has a twin song which follows on the album called The Theft of Marco Munoz. Munoz hung himself in jail in Texas when the border patrol took his child away. Marco is the dark-skinned immigrant in the imagination of Charlie. Different nation states but the narrative is the same. SG: Possibly – I hear that sometimes comes with age. Any residue of insecurity starts to disappear along with skin-elasticity and eyesight. SG: It's challenging not to feel anger in this era of pathological hypocrisy. I don't think there's ever been a time when the so called 'left' have been so inflated with righteous self-love and so devoid of genuine empathy. LJN: And you always used to launch in a jazz club but not now? 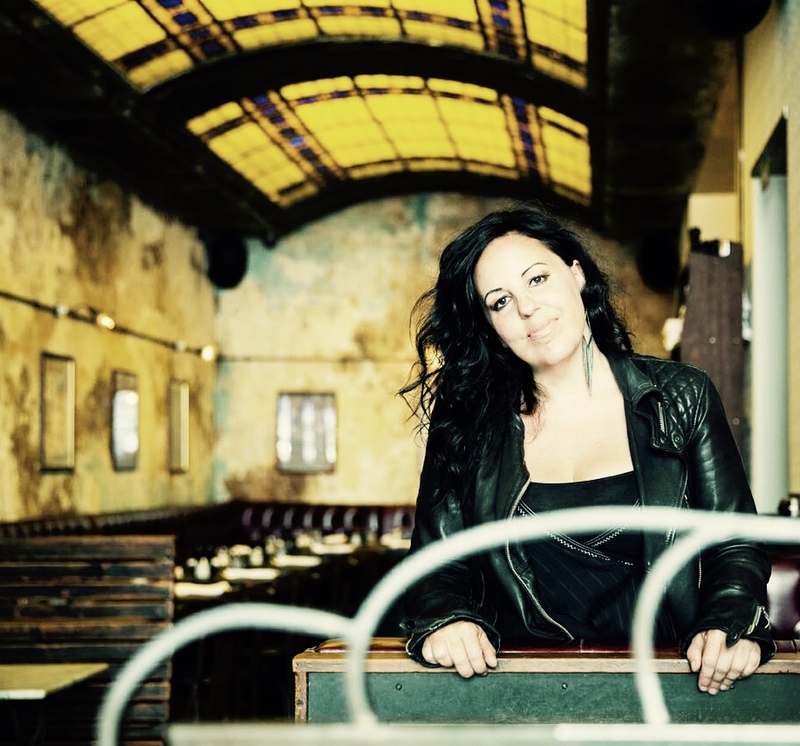 SG: I've launched all my albums at the Pizza Express Jazz Club in Soho but I felt like launching this new material in a venue I'd not played in before. The Purcell is a beautiful space and it's just been renovated. We are really excited to be playing there. LJN: Where do people find other dates for the band? LJN: Where can people get hold of the album? SG: Amazon, my online store, HMV and all good record shops.